This is it!!! For the first time EVER The Hitmen are hosting their very own show at the lavish Paramount Theatre! 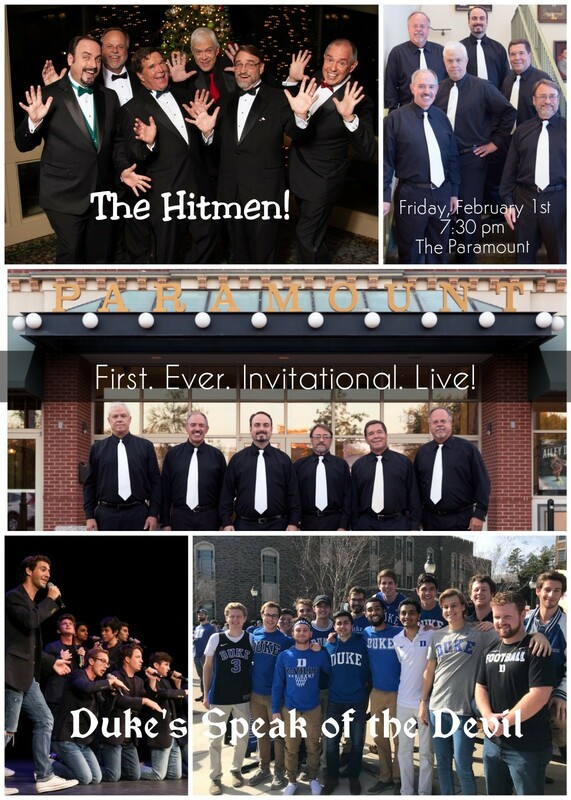 Our very special guests will be Duke University’s premier male a cappella group Speak of the Devil, recently nominated for national awards alongside stars like Pentatonix and Rockappella! We’ll also be hosting all-new a cappella sensation Eastern Wayne High School’s Warrior Avenue! The show’s proceeds will benefit the Foundation of Wayne Community College’s scholarship fund. So get ready for the biggest show of the year – see you there! Tickets are on sale now! VIP tickets in the first 3 rows are $20 and include an exclusive meet & greet reception before the show. The reception will be at 6:30, upstairs at the Paramount.